Where to go for steaks in Prague? 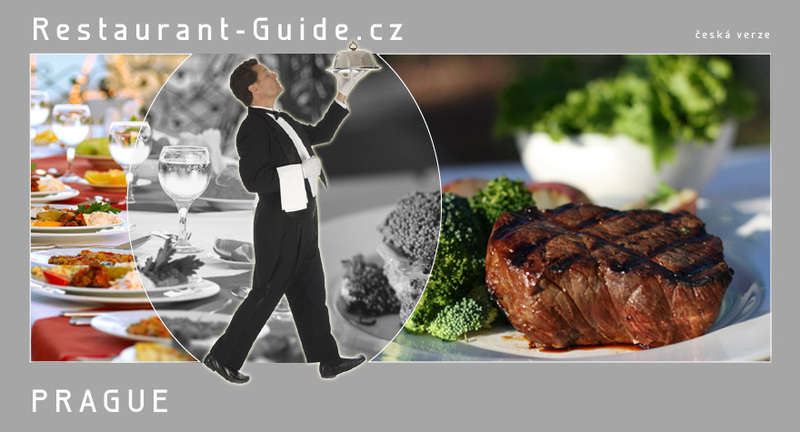 For people who love meat and barbecues we have come up with a list of selected restaurants and steak houses in Prague that mainly focus on serving beef steaks. The Čestr (Chester) Restaurant, which belongs to the Ambiente group, specialises in dishes made with matured beef from the Czech spotted breed of cattle which has also given the restaurant its name. Steaks are prepared here from classic cuts of beef but you can also try some less-known cuts, such as hanger, skirt steak or rump steak. As well as steaks you can also order beef tartare, strong beef broth, ribs and shoulder blades on the grill, stewed rump and silverside of beef grilled for up to 12 hours. 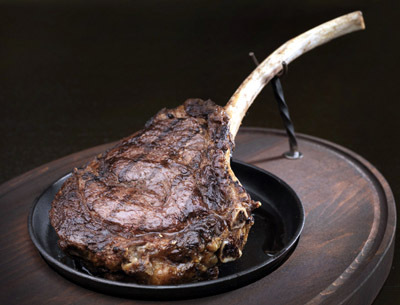 The Dock House in Michle offers a wide selection of steaks made from matured meats from around the world. Marbled hanger steak from American bred cattle, South American entrecôte, flank steak from Australian beef or a fine Charolais sirloin steak. 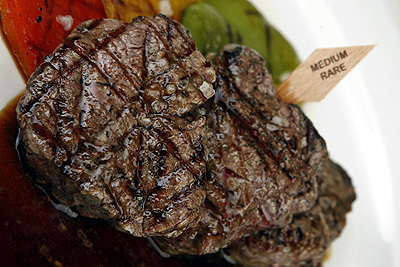 The Argentinian restaurant La Casa Argentina offers a variety of steaks from Argentinian bulls cooked on a traditional “parilla” grill. 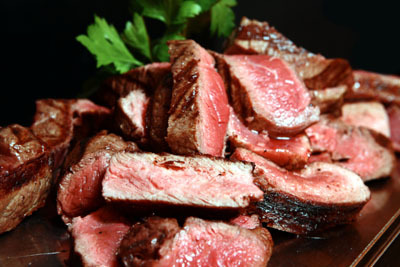 Tasty entrecôte with grease-eye, fine sirloin steaks, rump steak or the distinctive flank steak. Big eaters can also choose to eat as much as they want from a selection of grilled meats. A group playing Latin American songs also provides an authentic atmosphere. 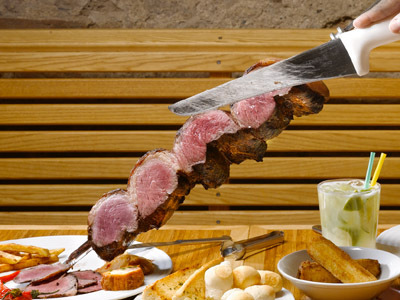 The well-known Brazilian restaurant in the Ambiente group serves Brazilian specialities of Rodizio cuisine, which is a traditional way of serving food, where you can eat all you want for a fixed price. One of the main features of this cuisine is “churrasco” which is grilled meat skewered on a spit/skewer and gradually sliced off during grilling. Here you can try a huge variety of meats, sirloin of beef coated in Parmesan cheese, roast leg of beef, shoulder or entrecôte rubbed in sea salt, the very popular silverside of beef with fat, ribs, braised hump of bull with herbs and much more. As well as meats there is also a large cold buffet, fish and seafood. 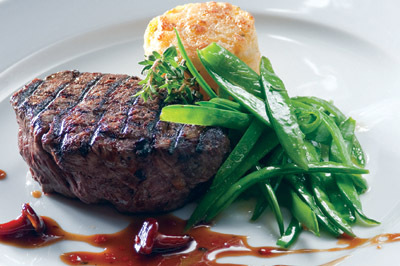 The Midtown Grill Steakhouse in the Marriott Hotel offers a variety of grilled dishes cooked with Black Angus beef from a farm in America. You can try grilled sirloin steaks, T-bone steak, strip steak or the head chef's speciality, roast entrecôte on the bone. The family BBQ and Steakhouse in Uhříněves, where David Korbel is the head chef, serves a number of steaks grilled on charcoal. 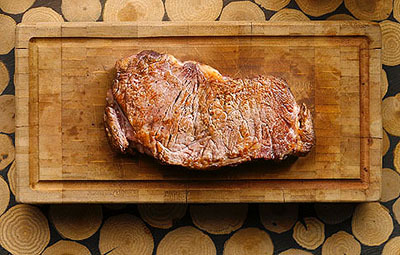 Navel steaks that are rich in flavour, marbled entrecôte and sirloin of beef come from matured American Black Angus meat. As well as steaks you can also order juicy pork ribs or beefburgers. The owner and head chef, who is one and the same person, will be happy to help you choose the meat you want and advise you on how it should be cooked. In the summer there is also a large garden with a grill.